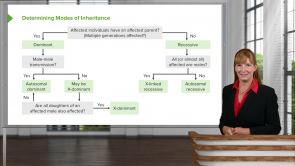 Get essential insights to high-yield population genetics! Your allocated expert, dedicated to preparing you for this Step 1 exam topic, is Dr. Georgina Cornwall, who has been teaching a broad array of Biology courses at various U.S. universities. Use high-yield topic reviews, quizzes, clinical pearls and mnemonics to close knowledge gaps. Our goal is to support you and help you fully understand a topic instead of memorizing facts. We will help you develop the knowledge and skills to solve clinical vignettes on the USMLE Step 1 in your sleep! Mendel’s laws, phenotype and genotype, recessive and dominant. Do these terms sound familiar to you from your biology lessons? This article regarding formal genetics will introduce you to all important genetic fundamentals regarding biology that you need to know as a physician. By studying and revising the contents of this article, you will be in a better position to do well both in your preclinical studies as well as in your preliminary exams. This content will help you master the key fundamentals of Genetics. Genetics and heredity – nowadays, everyone knows that diseases can be inherited. For that very reason, patients seek advice with their doctors because they are concerned about unborn children, family members, or themselves. An aspiring doctor must therefore be able to provide genetic counseling and diagnosis. The following article addresses the different modes of heredity, explains important tools –e.g. family pedigree creation and analysis–, and illustrates their application using the example of cystic fibrosis, a frequent genetic disease. 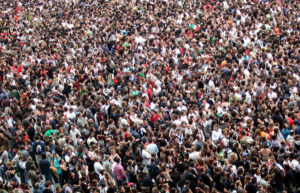 Population genetics is the study of the genetic variation in the population. Using mathematical and statistical models, molecular basis of genetics, Mendel’s laws and modern evolution, population genetics determines how the gene and allele frequency changes over time and the factors which influence it. 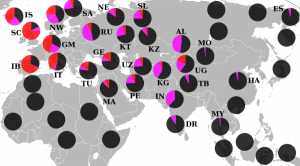 The study helps to determine populations with a large genetic variation (and therefore more likely to adapt), versus populations with lower genetic variability (and therefore with a lesser possibility of adapting) to environmental changes. Prenatal screening is used in clinical practice to detect the necessity for carrying out more detailed and invasive tests for the diagnosis of aneuploidies and congenital or developmental birth anomalies. Ideally prenatal screening should be made available to all pregnant women with more invasive testing being offered to those at increased risk. 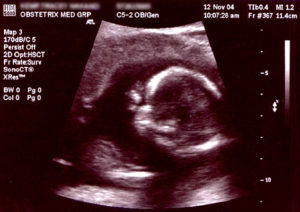 Ultrasonography is an excellent prenatal screening tool while prenatal diagnosis requires invasive tests like chorionic villus sampling, amniocentesis and fetal blood sampling. i don't know but sometimes its very difficult for me to follow lecturer and i get confused with interchangeable terminologies but great job overall.